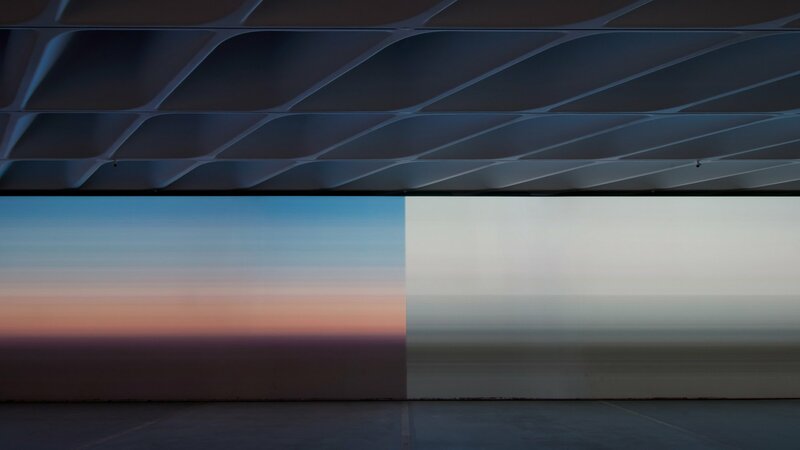 Stillness takes its inspiration from the two climates Yann Novak have inhabited: Subtropical in Los Angeles and Oceanic in Seattle. In these works he investigates these climates’ almost static meteorological states and their emotional effect on their inhabitants. 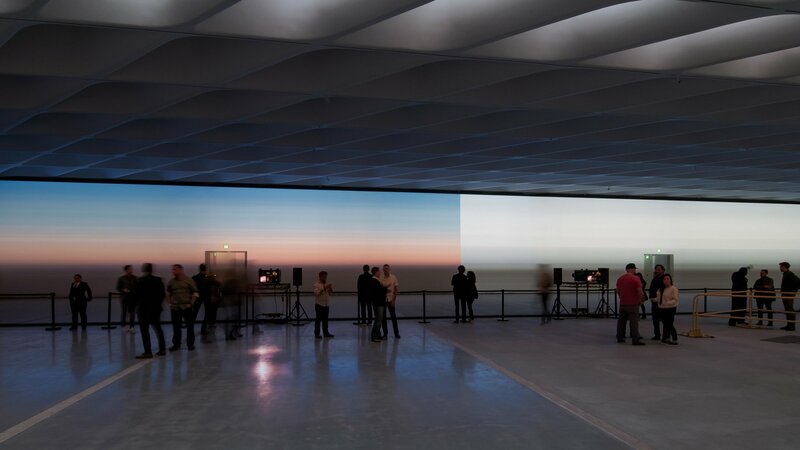 Stillness combines reworking of Stillness.Subtropical and Stillness.Oceanic into a large scale diptych spread over 5 projectors with an 4ch sound element per side. 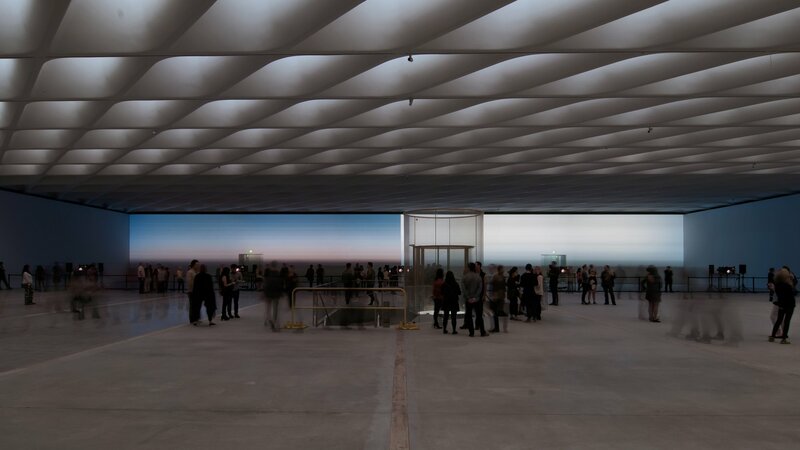 This produces an immersive experience that changes so slowly the effect is imperceptible to the audience and creates a nearly static state. 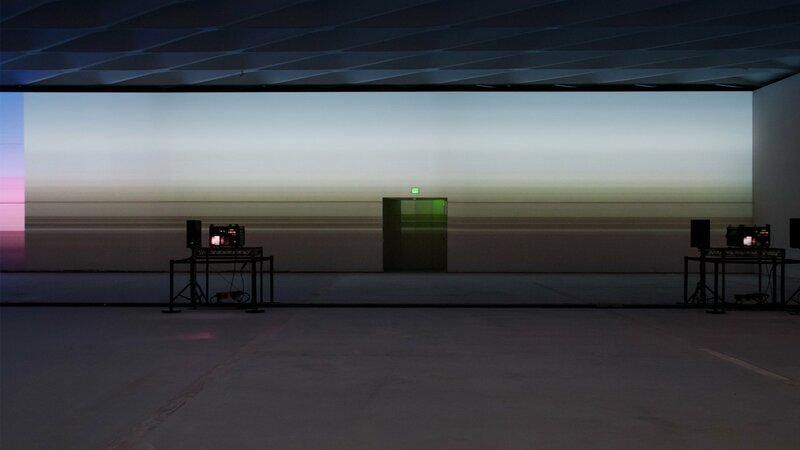 The sound elements were created using recordings of shortwave radio signal tuned to static in each location. Because radio waves are effected by both water vapor in the troposphere and ionization in the upper atmosphere from the sun, each recording, though similar, contains a unique signature from the atmosphere the waves traveled through. 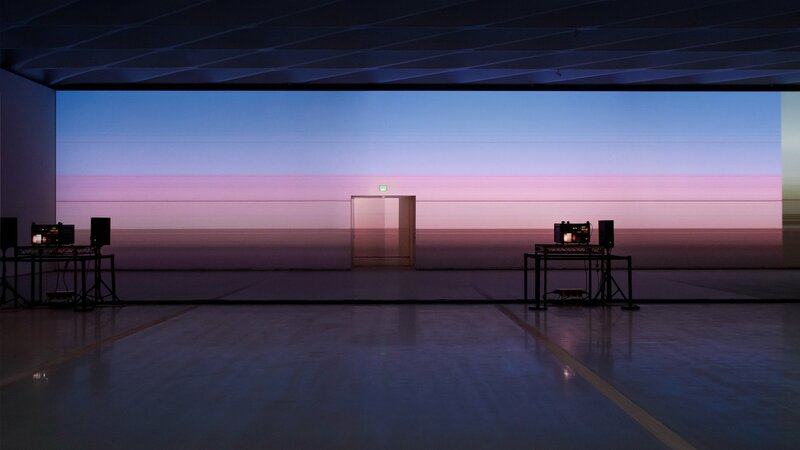 Similarly the video elements are made up of numerous photographs taken over a span of months in the case of Stillness.Subtropical and years in Stillness.Oceanic, always pointed at the horizon. These photographs capture a more literal portrait of these climates. 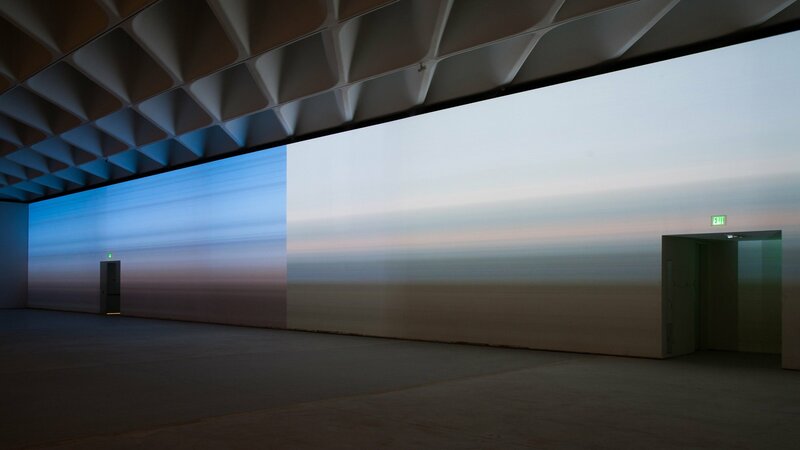 All these elements are then digitally altered to create an ambiguous abstraction, leaving enough of the source to guide the experience and define the location, but abstract enough to create an immersive environment perfect for contemplation and personal reflection.